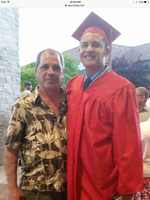 Provide comfort for the family of Randy Menendez with a meaningful gesture of sympathy. 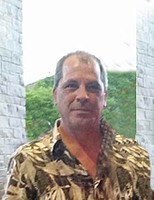 Randy Raymond Menendez, longtime resident of Eastpointe, died unexpectedly February 3, 2019. He was 60 years of age. Randy was born on December 27, 1958 in Wayndotte, Michigan, son of the Sophie Palazzolo and the late Manuel Menendez and Joseph Palazzolo. Randy was blessed with a wonderful son, Jesse, in 1995 and he became the apple of his eye. He loved playing baseball and enjoyed coaching. Randy was a hardworking man who, through his many injuries, kept strong and persevered. He had a heart of a child and loved helping others. Randy had a special bond with his mother, he cherished her and she was always proud of him. Everyone will remember him for his big welcoming smile and the new stories he had to tell. He was everyone's friend and will be deeply missed. 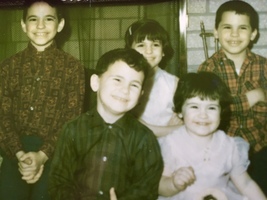 Randy is the dearest father of Jesse Menendez and Justin Gilda; cherished son of Sophie the late Manuel and Joseph; dear brother of Joseph (Diane) Palazzolo, Rick (Sue) Palazzolo, Sharon (Cesar) Rastelli, Michael (Dawn) Palazzolo, Norine (Jim) Chester, Manuel (Anne) Menendez, Rosanne Menendez, David (Paula) Menendez and Mary (Burt) Bremerkamp; and loving uncle of many dear nieces and nephews. To send flowers in memory of Randy R. Menendez, please visit our Heartfelt Sympathies Store. Joe and Annie Palazzolo, Bonnie, Paul, Raymond, Kris, Kaitlyn, Brett, and others have sent flowers to the family of Randy R. Menendez. To the family of Randy Menendez...We are so sorry for your loss. Sending our love and lifting up prayers for all of you. I am so sorry for all of Randy’s family and friends, he truly was a sweet soul. Thinking of you, Mary Beth, and your family, at this tragic time. I hope peace comes for your hearts, soon. 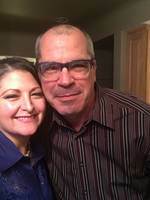 To the family of Randy Menendez...We are so sorry for you loss. Sending our love and lifting up prayers for all of you.